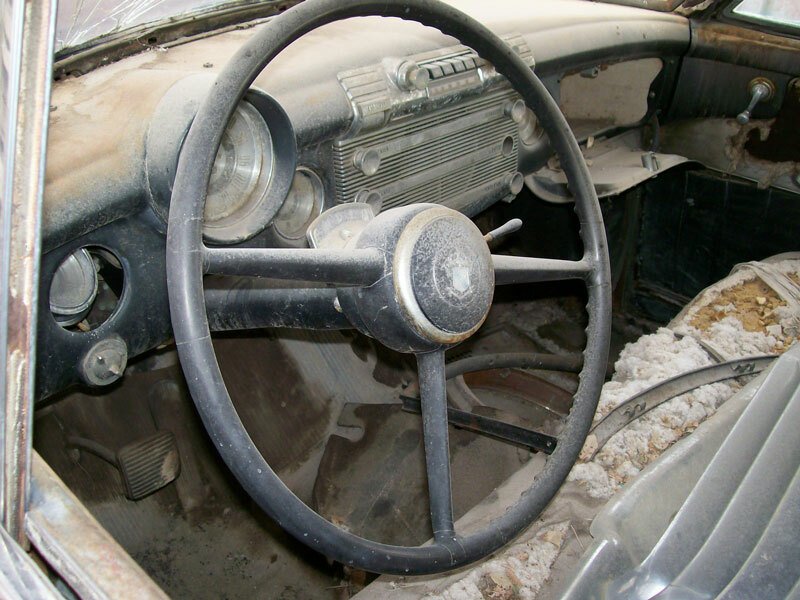 This Cumulus grey/green 1950 Buick Series 40 Special 4 door sedan is a mostly-complete body and rolling chassis ready to be restored or customized. The body has excellent solid, dry and straight western desert sheet metal. The front hood badge and center ornament are gone. The right front lower fender tail is dented. There are some small dents in the grill, mainly in the bumper guards. The left lower windshield trim is gone and the glass is cracked. Some of the flat glass is cracked or gone and the right rear corner glass is gone. The left rear door bottom is dented. The deck lid is missing. The left tail light assembly is gone. There are some dents and bends in the lower rear bumper and the horizontal upper bumper license plate guard is bent. The from wheels are not stock. 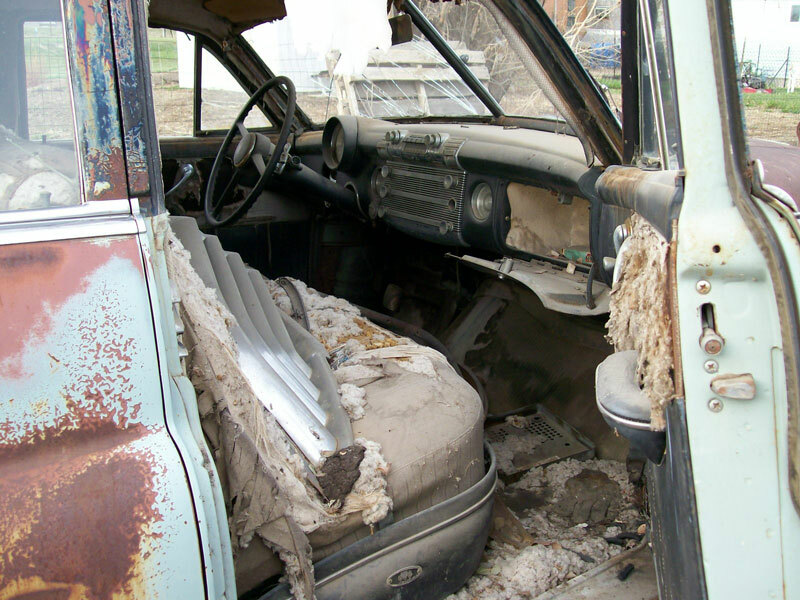 The black interior is all there. The dash and gauges are all there. The floors are solid. The 248 CID OHV inline eight cylinder 110 HP motor, radiator and Dynaflow automatic transmission are gone. Here is your chance to restore or customize a 50 Buick Special family sedan. 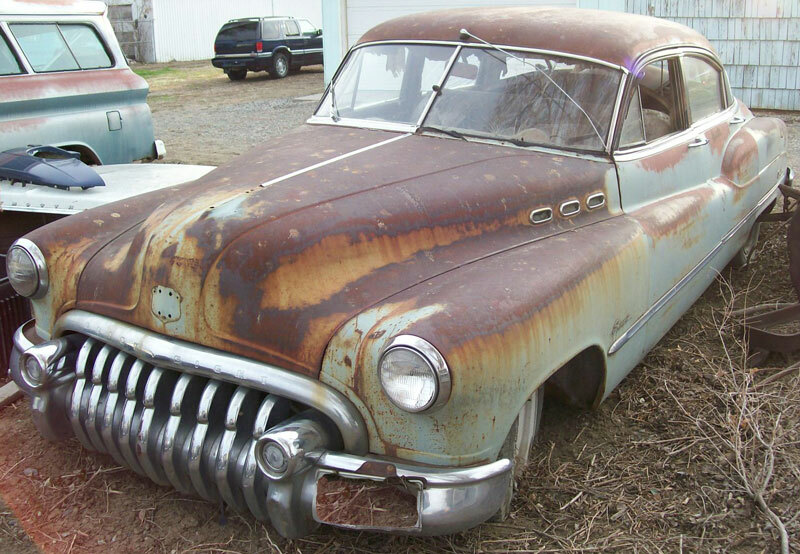 Please call (406) 318-0270 for details about this restorable classic 1950 Buick project car.